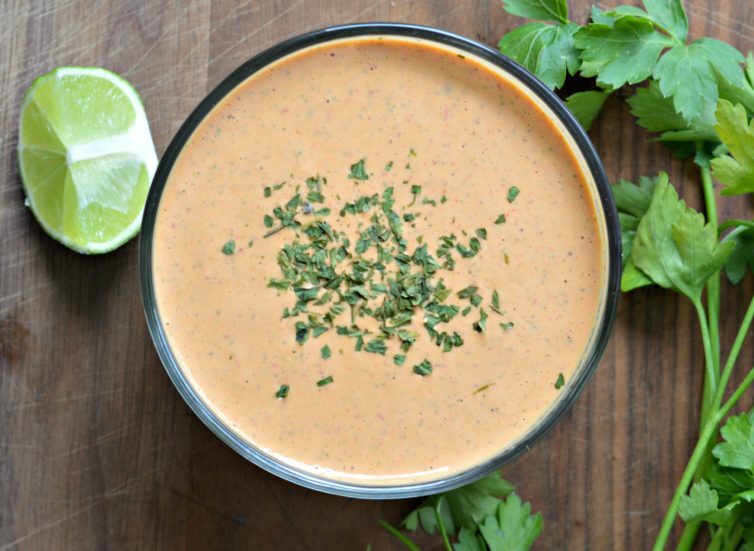 Inside: This Healthy Homemade Creamy Chipotle Salsa is easy to make, is healthy, and tastes great on just about anything. Learn how to make it today. In Mexico, salads with creamy dressings are not very common. Usually, if you eat a salad with lettuce, it is dressed simply with lime, salt and pepper, and maybe some olive oil. Since coming to the United States, I have grown to enjoy many different types of dressings, including this popular ranch dressing. That said, many dressings have lots of calories and practically defeat the purpose of eating a salad in the first place! For the past year or so, my husband and I have been working hard to meet our health and fitness goals. Part of that has included working out, and the other part has included making healthy food choices. 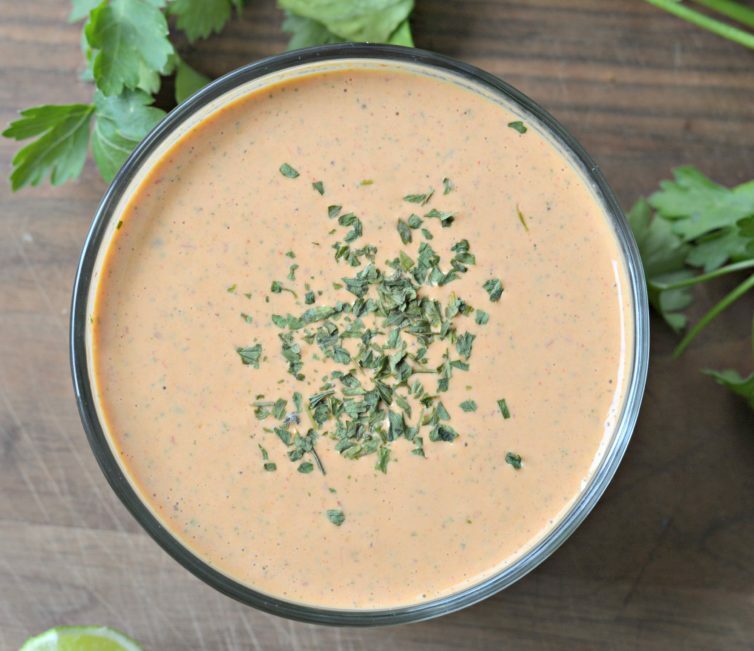 My husband really likes including some type of creamy salsa or dressing on his salads and on other foods, so I decided to come up with a recipe that we could use without sabotaging our healthy eating goals. 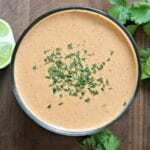 The result was the creamy chipotle salsa recipe that you can find at the end of this post. 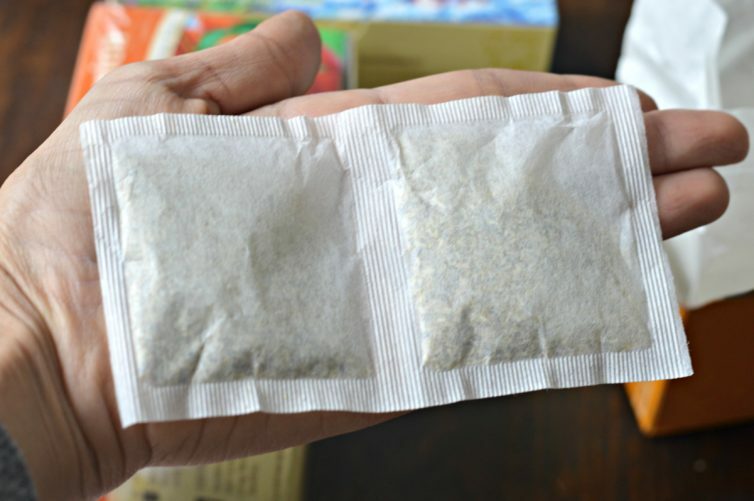 Another small thing that we have started doing is replacing sugary drinks with delicious herbal teas. 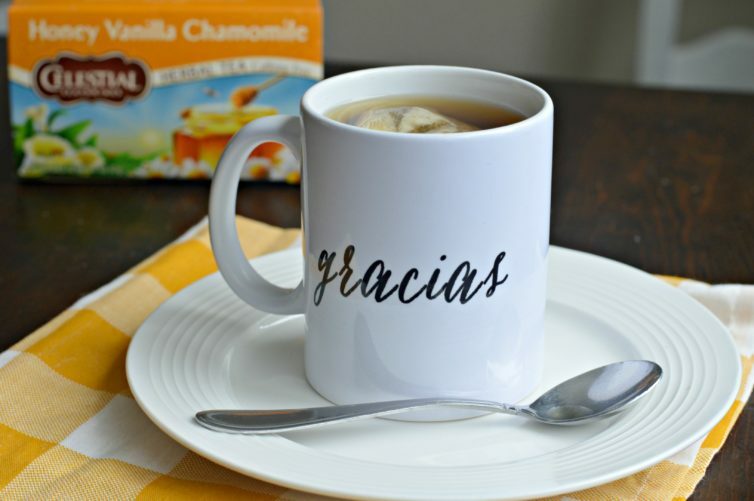 Our favorite brand is Celestial Seasonings because they have such a great variety of flavors that taste great and that are good for you too. 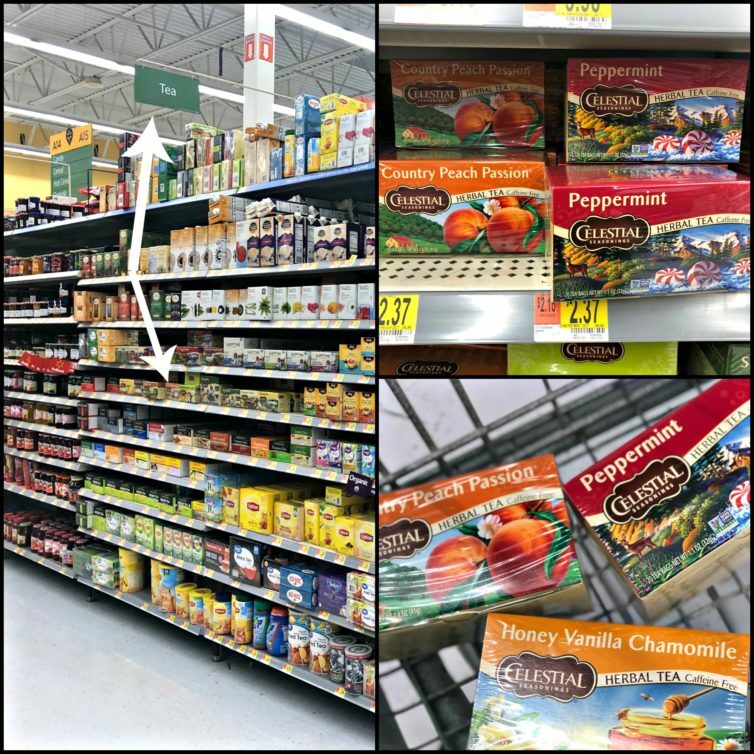 I always make sure to pick up a couple of boxes at Walmart (or add it to my pick-up order if I am in a hurry), and we go through them very quickly. Those three flavors each have zero calories, yet they taste great. I also like the convenient packaging of the bags which don’t have strings. 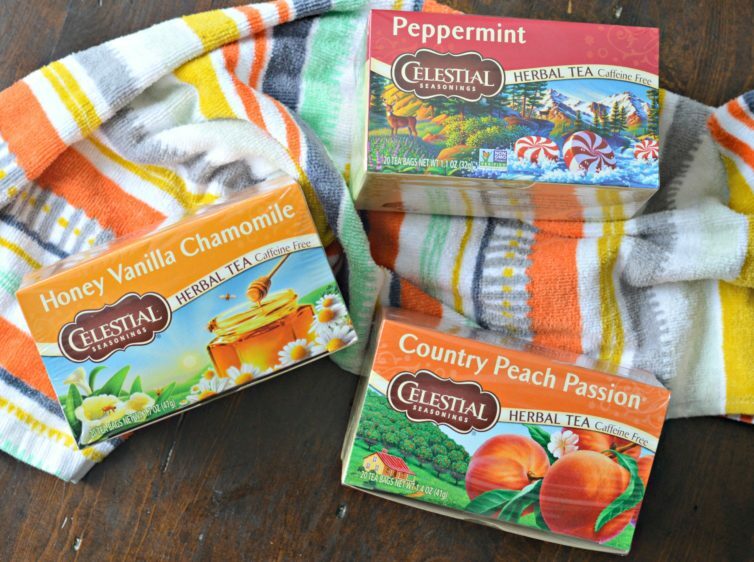 Find out more about these teas and buy them here. This creamy chipotle salsa is made with greek yogurt, chipotle peppers in adobo, and some fresh herbs and spices. The great thing about this recipe is that you can make it in just a few minutes, store it in an airtight container, and use it for up to a week after making it! All you have to do is blend all of the ingredients together in a blender, and then adjust the seasoning based on your own particular tastes. You will probably want to start with one chipotle pepper or even half because it can get pretty spicy in a hurry. If it isn’t quite spicy enough, you can always add more and blend it again. You can use this salsa on pretty much anything. 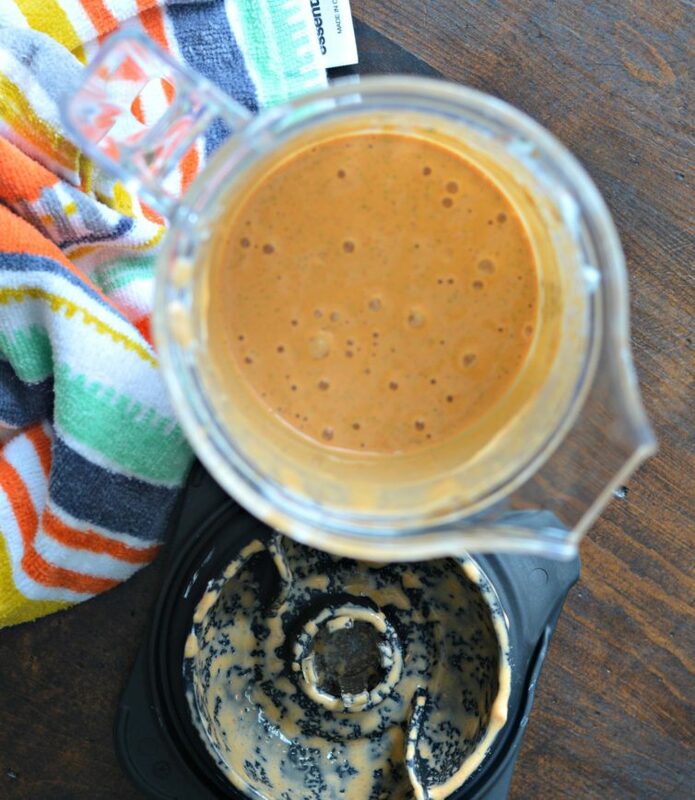 Like I mentioned above, it works great as a salad dressing for salads like this one. You can also use it on eggs, tacos, burritos, and more! Whenever I make a batch of this, my husband uses it on almost every meal. It is definitely something that we have around at all times. The other good thing is that it is inexpensive to make, so it doesn’t break the bank to make it pretty often. I hope that you enjoy this salsa as much as my family does. Let me know in the comments below how it turned out for you. 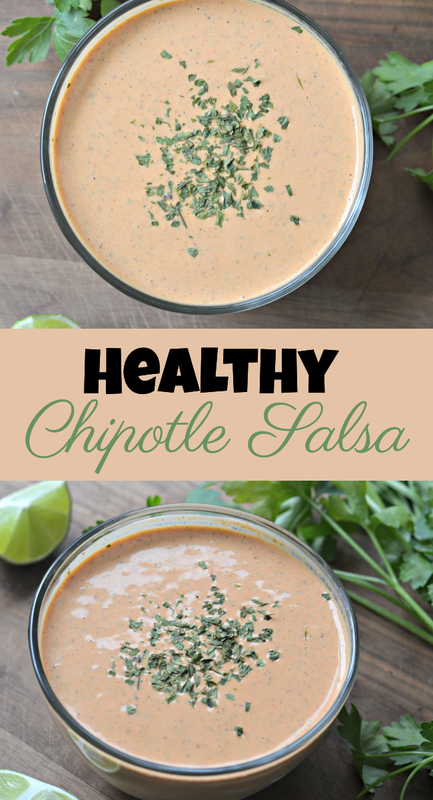 This Healthy Homemade Creamy Chipotle Salsa is easy to make, is healthy, and tastes great on just about anything. Learn how to make it today. Rectify flavors by adding additional seasonings if necessary. If it is too thick, add water, 1 tablespoon at a time until it reaches the desired consistency and flavor.